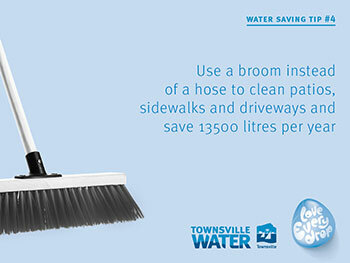 Townsville residents use about four times more water per person than our counterparts in most major cities. 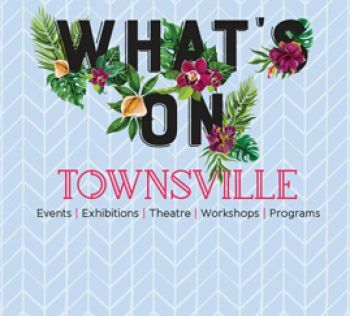 On average, about 70% of total household water in Townsville is used on our lawns and gardens. 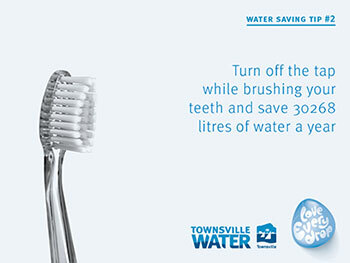 To see how much water you use around the home, check the graphs and data on your next rates notice. You will be able to see comparisons of average daily water consumption from the current billing period to the previous year and the local area residential average. If you are renting, you can find out how much water you are using at home by checking your water meter on the 14th of every month. We all have a range of water appliances in our homes. Have you ever wondered how much water they might use? Below are estimates of typical water consumption to help you understand how much water is being consumed for different purposes and how you can save this precious resource by making some really simple changes. A common sprinkler uses up to 2,100 litres per hour. A low flow sprinkler uses less than 600 litres per hour and is better for your lawn. 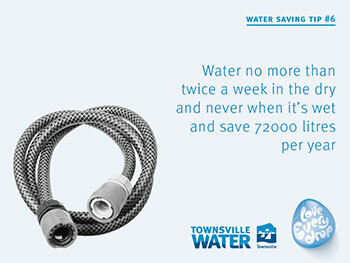 You can make a difference by switching off your automatic system in the rainy season to save thousands of litres! A normal showerhead uses 17 litres per minute. A water save showerhead uses 8 litres per minute. An old-style single flush uses 12 litres per flush. A modern dual flush uses three litres for a half flush and six litres for a full flush. 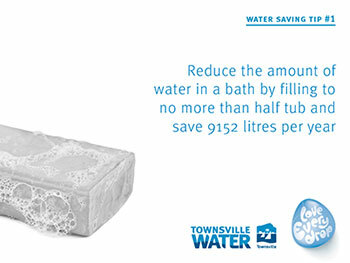 You can make a difference by showering for less than four minutes and save up to 21,353 litres per year! Washing dishes by hand uses 18 litres of water. 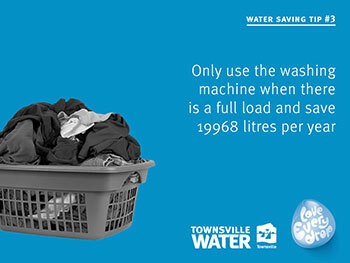 Using an old dishwasher uses 60 litres per cycle. Using a modern dishwasher uses 18 litres per cycle. You can make a difference by rinsing dishes in a plugged sink and washing fruit and vegetables in a tub and then using water on the garden. 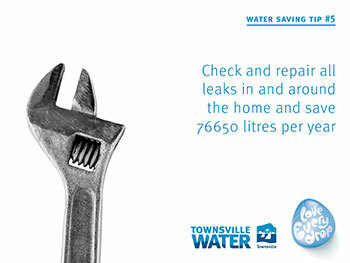 You can make a difference by regularly checking your property for water leaks and save about 76,650 litres a year!